Statement sofas send an anti-neutral message — original décor lives in this house. Statement sofas are character actors. 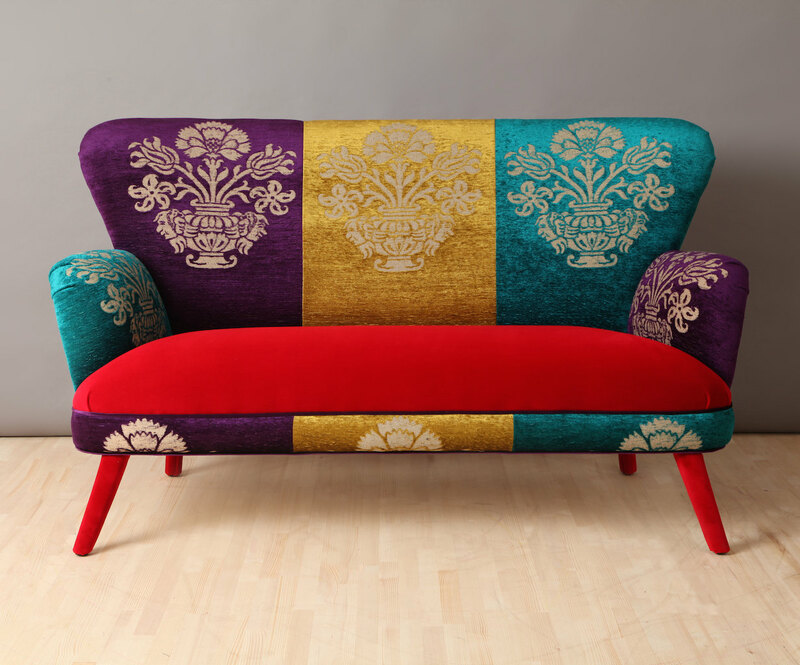 A sofa with a unique personality can be dominant enough to draw attention away from a troublesome aspect in any room. That can be one reason to choose a sofa with sculptural lines, a unique fabric treatment, or a deconstructed look — one that’s unique and memorable. I am always drawn to statement sofas. When I located one for my own house, at an antiques show, I immediately snapped it up [top]. 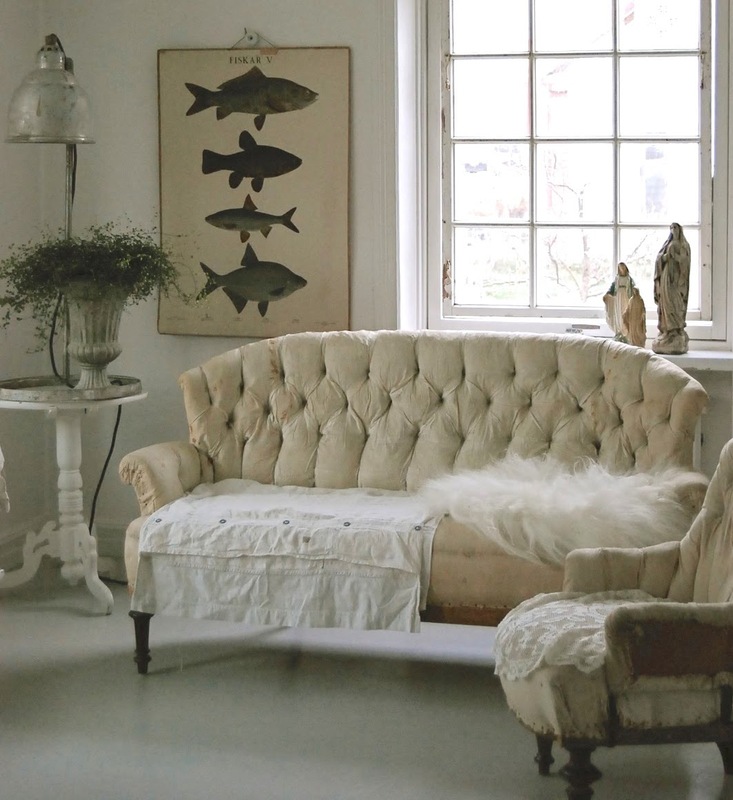 It is a vintage Swedish three-cushion sofa with a headboard back and an off-white frame. 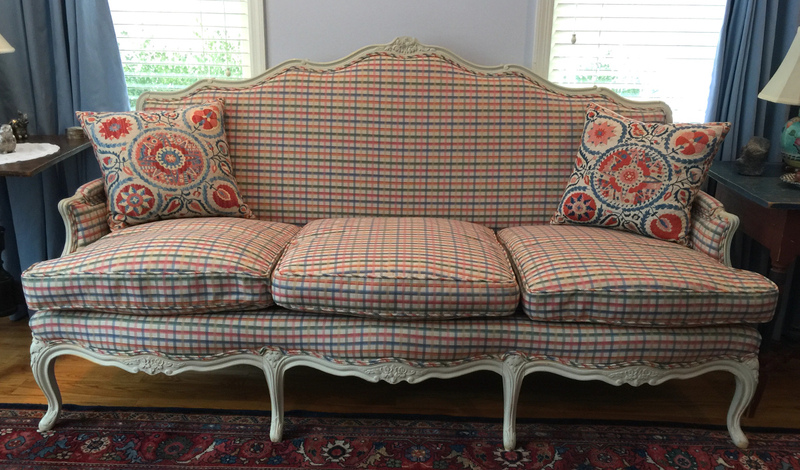 Because it has that traditional Gustavian style, I decided that upholstering it in a solid would make it look like a refugee from an estate sale (which it likely was). Instead, I chose a Swedish-style plaid fabric to keep it from looking too serious. A pair of vintage Uzbek suzani pillows I bought from an ebay seller in Taskhkent add to the fun. A two-seater with red saber legs, a matching solid red seat plus 1940s style floral fabric on the back feels a marriage between cottage and mid-century modern. An etsy seller in Turkey posted this one some time ago and I like the originality. The same sofa was updated without the pair of tufted buttons in the center but retains its oomph despite the more sedate “Gobelin” pattern. 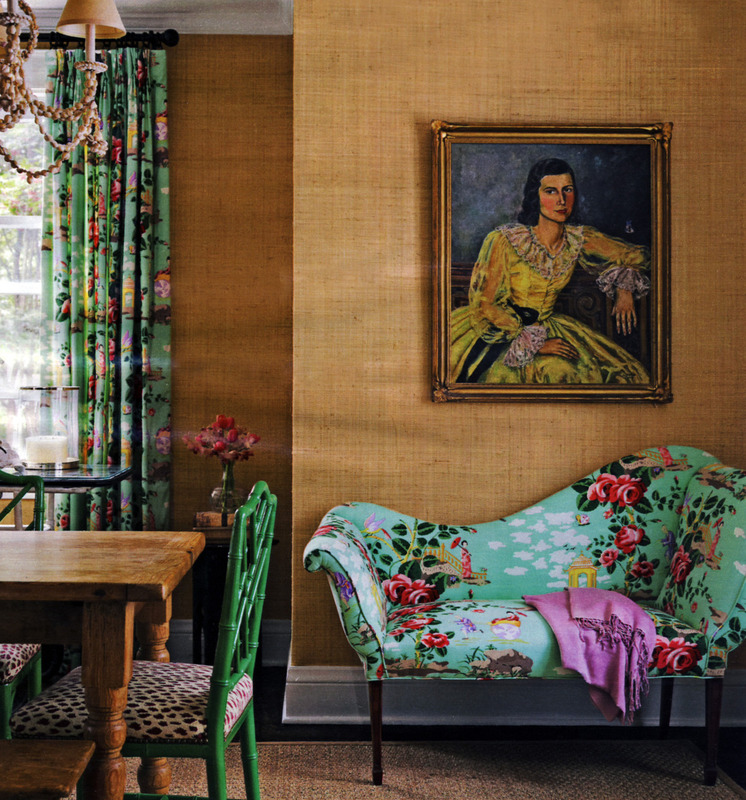 I’ve long admired this asymmetrical settee that’s actually an accessory in the dining room of a colorful house on Long Island. In red damask it would be a snooze but upholstered in a Scalamandré Chinoiserie aqua print fabric it steals the show — especially when the fanciful fabric with its cabbage roses and pagodas is repeated in the draperies. 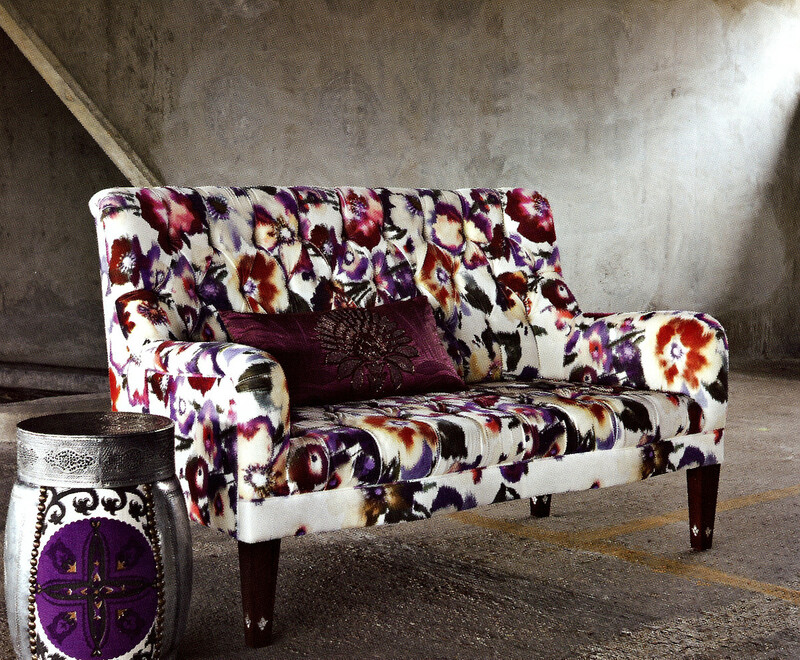 There’s distinct feminine charm in the romantic floral fabric chosen for this tufted two-seater. A custom piece by Maze Creative Concepts in Kuwait, it feels perfect for a bedroom or she-cave. Don’t overlook the discreet mother-of-pearl inlay on the sofa legs which hints at the Middle Eastern roots. 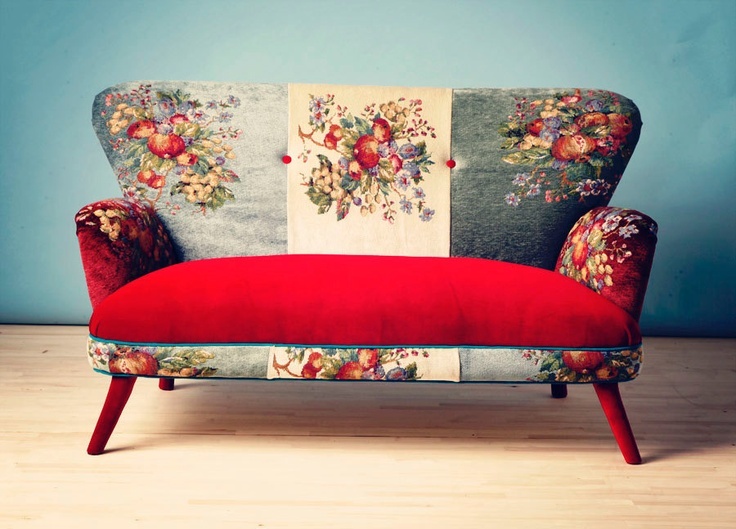 By now we’ve seen an endless parade of statement sofas upholstered in muslin or calico. These feel like the décor equivalent of vintage lingerie. It’s a look that came from Scandinavia and swept the US market until it landed at Restoration Hardware which sells new pieces are made in this style. While it’s strictly for those who adore patina, which I do, it allows the owner to be playful, make changes, and not worry about spills, pets or kids — which is a statement of its own.